Republicans have been colluding with foreign governments to influence the outcome of presidential elections for the last 50 years, and the documentary, Betrayal: The Plot That Won the White House, hosted by Rachel Maddow, will review archival evidence about how Richard Nixon himself was involved in colluding with intermediaries to the South Vietnamese government for the purpose of wrecking the Paris Peace Talks in 1968 and thus prolonging the war in Southeast Asia. There is also a substantial body of evidence that the 1968 October Surprise was followed by another Republican scheme in 1980 that involved elements of the Iranian government in collusion with the Reagan campaign. But loyal readers of Plunderbund are probably more familiar than many of their fellow citizens due to previous coverage on these pages of both the 1968 and 1980 election skulduggery by the Republican Party. 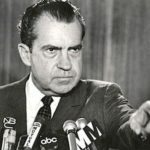 In March 2017, None Dare Call It Treason: The GOP and October Surprises, provided Plunderbund readers a review of Nixon’s conduct as a candidate whose campaign was involved with a foreign government to influence the outcome of an election. Does that sound familiar to what we are reading about today, a half-century later? In a telling phone call, the president reached out to one of the leaders of the Republican “loyal opposition” to alert him about the disloyalty that was transpiring right before the election. In April of this year, a follow-up article, Speak Memory: The Steel Butterfly and Thoughts About Presidential Election Collusion, provided more detail about the 1968 election that was sabotaged by the GOP. Loyal readers are urged to review these two articles in conjunction with viewing Rachel Maddow’s documentary about the first October Surprise. By an incredible coincidence, two individuals with links to the 1968 and 1980 October Surprises – one a participant, the other a crack investigative reporter – died this year. 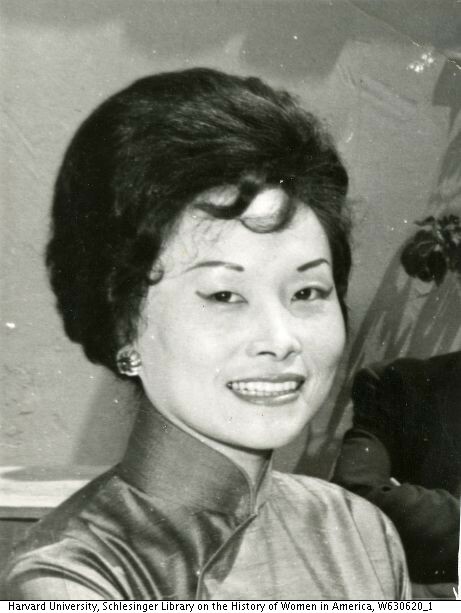 Chen Xiangmei, also known as Anna Chennault, died in April and was the principal Republican intermediary in collusion with the South Vietnamese government. In late January, just eight weeks before the passing of The Steel Butterfly, Robert Parry, an award-winning national investigative reporter who helped to break the Iran-Contra Scandal and the 1980 election collusion story, died in suburban Washington. A former Associated Press and Newsweek reporter, Parry continued to examine the mysterious 1980 GOP election collusion up to his death. 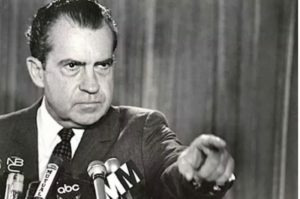 This link to the October Surprise Series on Consortium News, the website he established to report on his investigations, is testament to the groundbreaking work he performed on the 1980 October Surprise. As we study history, we sometimes find out that when something is illuminated for further study, as we are now doing with all of the Russian connections in the 2016 elections, the serendipitous result is that something else, however unrelated, might be discovered in the process. That would be exactly what happened in 1980, when some American hostages might have been held hostage even longer, for political gain, just like thousands of Americans were held in harm’s way in Vietnam more than a decade earlier. Now that we have learned more about the 1968 October Surprise, the 2016 election investigations must, whatever the results, also force a reexamination of the 1980 election. That earlier congressional investigation was flawed and manipulated, and that should be a warning that we do not need another similar result with the Trump-Russia imbroglio. I look forward to viewing Rachel Maddow’s documentary on the 1968 election. Please join me in watching this examination of past collusion – or more bluntly, treason – by a political party that believes in winning at all costs. Maddow uses the word betrayal in her title, while others use the term disloyal. In what we might surmise from that conversation between President Lyndon Johnson and Republican Senate Leader Everett Dirksen 50 years ago, terms like collusion, disloyal, and betrayal may be much too polite.